I have been doing this for a little over a year now, and I will have to thank my friend James for introducing me to this hobby. A lot of my old photos have a haze on them due to the fact the camera was having lens problems, but a couple months ago was able to get me a new camera to make my pictures better and clearer for viewing. I'm simply a 25 year old guy who works at a movie theater and is going to school to be a southern baptist minister. The photos I posted are from the ecolab part of the estate and are considered to be contributing resources. We were driving about today and came across this old stone building. It has red brick lining the room. It looks like an old storage building, but prior to that I'm curious. Any thoughts? 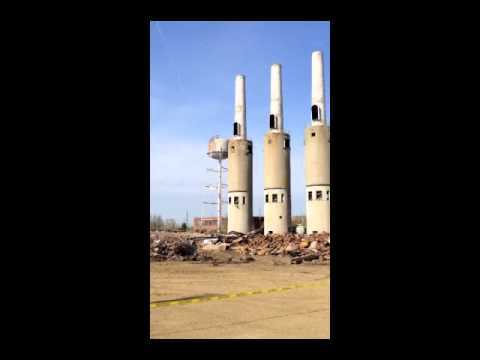 Most of the Facilities have been removed including the two power plants, they are in the process of removing the exhaust towers and the buildings are gone. Sad day in American history in my opinion. Link to photo of whats left. Hope those people have good flood insurance. If it did that, then we know who the real spies are, Middle class American green men. I also do it is a contributing building is extremely important. such as the 2nd street baptist church in floyd county indiana. its part of the downtown historic district but i added it because of its importance during the civil war period of being part of the underground railroad. New idea, historic district hunting, new weight loss technique. See cool and interesting stuff while dropping pounds walking through the area. are the stats for the mansion row. I found out that the historic districts here are broken up into sections that represent wealth, commercial, workers class, and middle class from back in they day. It was just nuts. whats really funny though is the New Albany historic website only lists the commercial and wealthy districts on their site. But I regress. I ended up just driving up and down streets looking for stuff, that seemed right. Having to pull over for traffic every now and then, because the district was 11 blocks by 3 blocks. So as you can see what I posted for the districts. Have came to the conclusion this property no longer exists. one of the best if not the best sports movie ever made. Great add on anthony. really didn't look to deep into it. but awesomeness sir.